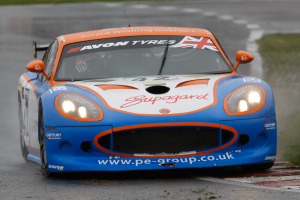 2012 British GT4 vice champions Century Motorsport are delighted to announce that Zoe Wenham will return to the team in 2013 aiming to go one step better and win the championship alongside Declan Jones. Century Motorsport haven’t ruled out running a second car in British GT along with drivers in the Ginetta GT Supercup and selected European Endurance events in 2013. If you would like to join a winning team for 2013 please visit www.centurymotorsport.com or contact Nathan Freke at: nathan@centurymotorsport.com for further information.